A native of Albuquerque, Tomás has over 35 years studying and playing drums and timbales. Besides salsa, his background includes jazz, calypso, reggae, rock and roll and Batá drums. 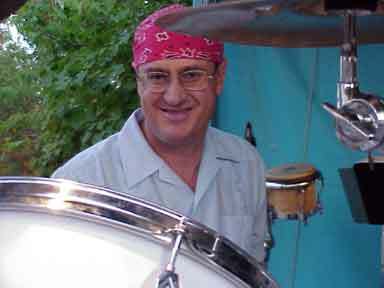 In 1995, Tomás traveled to Havana where he studied contemporary Cuban percussion with Enrique Plá, Jose Eladio Amat, Roberto Vizcaino and Changuito. Currently Tomás is also a member of the Tá-Bení percussion ensemble.